The new LTI Locking Shoulder Joint has been redesigned to provide greater locking strength and more wear resistance. Made from high-strength aerospace alloys, the joint is durable and lightweight (172gm). The shoulder swings in a natural arc during gait, but can be locked in 36 positions, or every 10°. Abduction/adduction is achieved through a second hinge with adjustable friction. The user can free the joint manually or by using the optional nudge control or remote release lever. 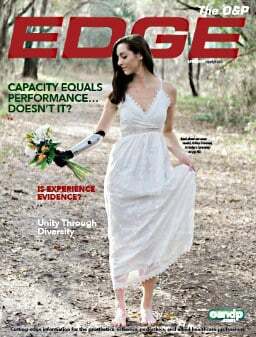 The LTI Locking Shoulder Joint is usable in both endo- and exoskeletal prosthetic systems. L-Codes were approved for this joint in January 2003. Textilesthe perfect solution for vacuum-forming thermoplastics and final laminations. 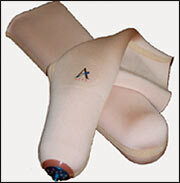 FeatherStretch is, in effect, nylon hose on a roll, stretching to fit limb circumferences up to 56 in. (wide size), saving time and inventory space. For vacuum forming, simply cut off the needed length from the roll, tie a knot in one end, and pull over the mold before the heated plastic is draped over the mold. FeatherStretch helps keep the plastic from sticking to the mold and produces an extremely smooth appearance. 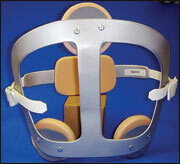 SPS now offers the low-profile, lightweight Medi Spinomed® spinal orthosis for vertebral extension in osteoporosis. Decreases pain by 38 percent. Indications include osteoporotic bone collapse in the thoracic and lumbar spine, juvenile Scheuermanns disease, and hyperkyphosis with chronic back pain. Westcoast Brace & Limb announces the immediate availability of the WPC Compressor. The WPC Compressor is an orthosis designed and fabricated by Westcoast Brace & Limb for the correction of pectus carinatum in adolescents. 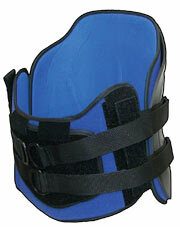 The WPC Compressor is a lightweight orthosis that is easy to wear. It is cosmetically appealing, and positive results have been seen in as soon as two to three months. Pectus carinatum usually is treated through surgery, but in mild to moderate cases the use of the WPC Compressor pushing directly on the sternum can correct the condition. 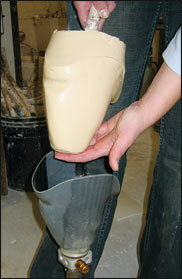 Accu-Cast Prosthetic Grade Alginates will make your projects easier with features like high tear strength, low shrinkage rate, longer working time with warmer water, and a stronger, denser material. Accu-Cast recommends two alginates for the O&P industry: 390, with a set time of three minutes at 90° F, is best for pourable molds, such as duplicating sockets and hand casts. For faces, IBG is a desirable material, because of its higher density and longer set timefive minutes at 90° F water temperature. Contact us to receive a FREE SAMPLE. Performance from Heel to Toe! Introducing the newest low-profile, high-activity foot...the TrailblazerTM. The Trailblazers Compound Spring SystemTM increases the toe springs effectiveness while maintaining long-term durability. The foot provides increased deflection and dramatic energy return. Trailblazers PerforMaxTM Heel includes three heel spring options for in-office customization. The Trailblazer foot is lighter weight and has lower clearance requirements (2.4 in. minimum) than other competitors feet. High-activity foot shell featuring extra sole reinforcement included. Trailblazer utilizes US Patent 6719807and EP Patent Application 01303759.3 under license from Chas A Blatchford & Sons Ltd. Available immediately from PEL, the new GP (General Purpose) Gel Liner from ALPS combines the softness, strength, and elasticity of the ALPS EasyGel with the comfort, durability, and value pricing that wearers want. The GP liner offers new distal end encapsulation that will retrofit most current liners. It features high-performance fabric to improve durability. Both the locking and cushion versions are available in 3mm uniform and 6mm uniform configurations. The liners include a 24-month warranty with the purchase of a pair, or a 12-month warranty on a single liner. All GP liners offer a 30-day "no questions asked" satisfaction guarantee. OCSI/NeuroFlex Inc. is introducing a new Clinical Pathways Program. 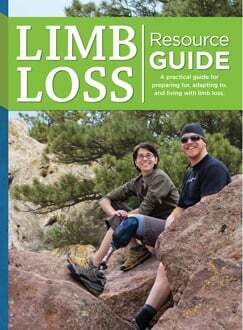 This free resource will help facilitate orthotic brace selection for therapists and other referral sources. The Clinical Pathways OrthoticSelection Guide will allow a clinician to easily select the most clinically appropriate orthotic design and product model depending on the patients clinical condition and treatment goal. OCSI/NeuroFlex has upgraded its product line, featuring new, superior fabrics, proprietary gel technology, and enhanced product design. Call us today to receive a FREE Clinical Pathways Orthotic Selection Guide. HOPE Orthopedic announces its VertaLuxTM and VertaLux LiteTM, a new bracing solution for comfortable torso support and spinal motion restriction. A modular system for precision fitting, the VertaLux features a fabric front with a pocket containing a semi-rigid molded Kydex insert and rigid posterior. The VertaLux is available in LSO and TLSO, Standard-profile, Mid-profile, and Low-profile styles; seven Unisex sizes to mix and match for best fit; and polyethylene back or soft back (VertaLux Lite). HOPE Orthopedic offers same-day order fulfillment until 8 PM Eastern, three-day shipping for the price of ground, and a flat fee of $20 for overnight shipping. The Mercury HA Knee System by Endolite provides the best combination of strength and functionality for active amputees. The Hammerhead is specifically designed for kayaking but can be used in other boating water sports. The Hammerhead is constructed from durable, flexible polymers. The paddle is captured by a strong flexible strap that is secured on top of the Hammerhead. In an emergency the "T"- shaped handle in the strap allows for easy release. The Hammerhead duplicates the unique biomechanics required for kayaking. It "feels" like an anatomical hand controlling the paddle by providing energy-storing, resilient flexibility, yet it allows for blade "feathering" and precise paddle control. With 3-, 6-, 12-, and 18-Month No Interest Payment Plans and 24-, 36-, 48-, and 60-Month Low Interest Extended Payment Plans, CareCredit®, the nations leading patient financing company, offers convenient monthly payments to fit almost every budget, allowing orthotic and prosthetic patients to say "yes" now to recommended care and technology. With easy enrollment via fax, phone, or online, CareCredit provides high approval rates, and credit decisions are provided in minutes. Practices receive payment in just two business days, eliminating the cost and risk of carrying accounts receivable while increasing cash flow. CareCredit offers complimentary informational materials and ongoing practice support. 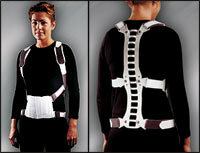 Blake Barlow, CP, FAAOP, has patented a one-piece utility garment with dual purpose: fashion and function for amputees. Barlow, a sportsman, amputee, and ACA member, created the design to provide a smooth transition from traditional underwear and the separate application of a residual limb sock. The functional advantages are a 75-percent reduction in pinching, bunching, slipping, sliding, rotating, pistoning, and having to remove the prosthesis to recover the limb sock. The garment helps decrease skin problems caused by ground reaction forces transmitted via two separate garments. 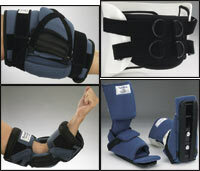 The garment, with a custom-design sportswear look, may be custom-fitted by your prosthetist. Swimwear and leisure wear available. Invented to help with phantom pain, FarablocTM is now used for all kinds of pain. It is made from stainless steel and nylon. Farabloc looks and feels like linen. This product is drug free and has no undesirable side effects. It is washable and may be used repeatedly without losing its unique anti-inflammatory effect, according to a controlled study conducted by the University Of British Columbia School Of Rehabilitation Medicine.